I couldn’t possibly choose a single shot from this bridal shoot. I am so happy with these final images, my standards are set high for my actual wedding photos! The team and I chased a crazy Perth storm around Fremantle, finally ending up at North Fremantle beach and taking these shots. We were incredibly lucky that the clouds had opened up at sunset and let the most gorgeous light through. It’s hard to tell that the wind was so strong I nearly fell over a few times, and lightning was striking so very close to where we were. It was my very first bridal shoot and I was incredibly nervous, so to hear amazing feedback from the photographer and the team was so warming. I’ll hopefully be working with them all again very soon! 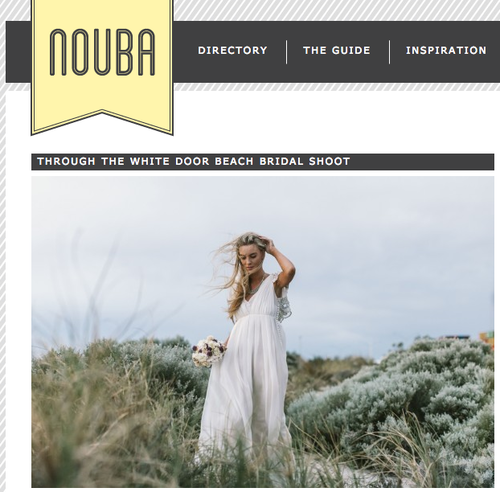 The dress is by Rue De Seine Bridal, available at Through the White Door in North Fremantle. Necklace by Violet Pilot. Floristry by Ruby Tree Creative. Photography by the talented wedding photographer, Alan McDonald.